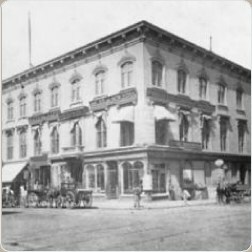 The first of ten consecutive lectures in California. 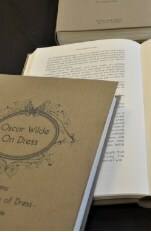 Wilde, therefore, resurrected The English Renaissance for an additional lecture. 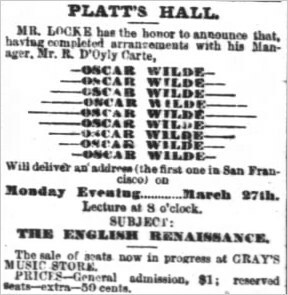 The reason he had previously adapted this lecture was that it had proved 'too lengthy and theoretical for many in Wilde's audience' , and it is evident from the reported content that he delivered a variation of it in San Francisco. 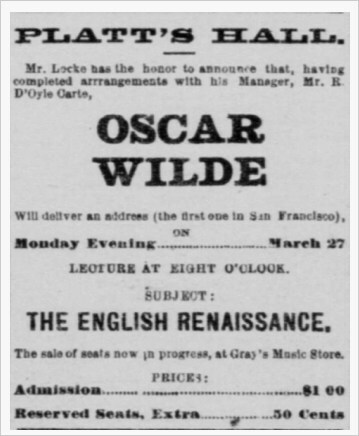 The fourth lecture Wilde created for San Francisco was Irish Poets and Poetry of the Nineteenth Century. 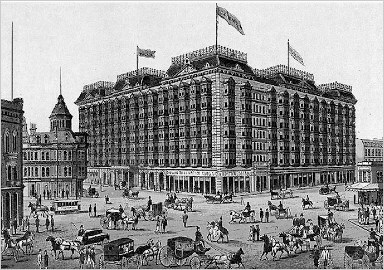 It's an odd thing, but anyone who disappears is said to be seen in San Francisco. 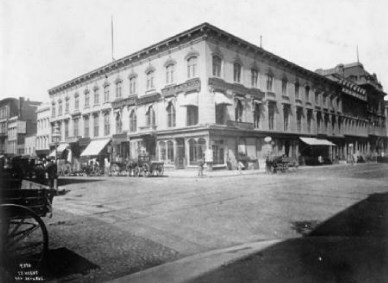 It must be a delightful city and possess all the attractions of the next world.